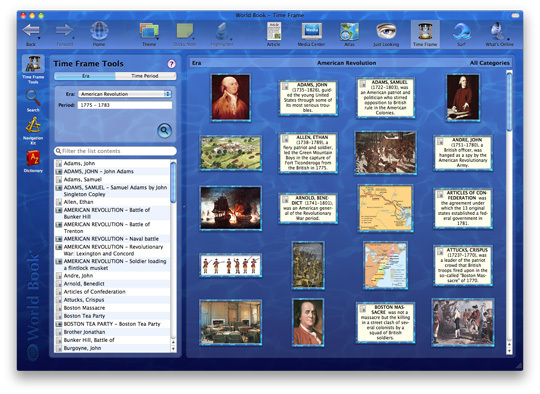 Find all the media and articles related to a particular era such as the Renaissance or the American Revolution, or find out what happened the day you were born. American Revolution. Read the stories and view the pictures of generals and soldiers, patriotic organizations, famous battles and campaigns during the 8 revolutionary years leading to the birth of a new nation - the United States.